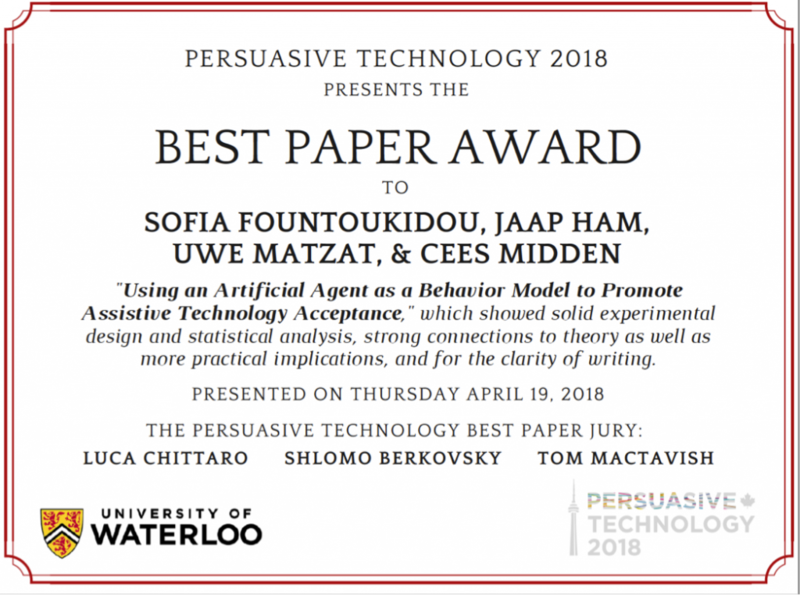 TU/e’s paper on “Using an Artificial Agent as a Behavior Model to Promote Assistive Technology Acceptance” received the Best Paper Award from the committee of the 13th International Conference on Persuasive Technology that was held in Waterloo, Canada, April 2018. The paper deals with developing persuasive training strategies to increase assistive technology acceptance, using the paradigm of the GazeTheWeb browser. The focus of the paper is on whether an artificial agent (embedded into a system) can be used as a persuasive behavior model to influence individuals’ technology acceptance beliefs.